A coworker of mine gave birth to a beautiful baby boy a few weeks ago. A little peanut with a full head of hair, he is seriously so cute! 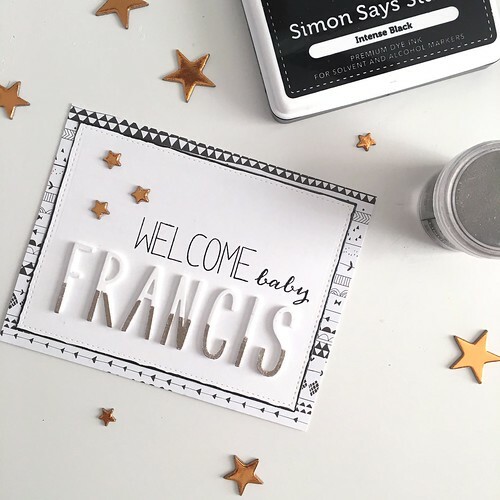 I was asked to make this custom card, inspired by this one, for people at work to sign to welcome little baby Francis. 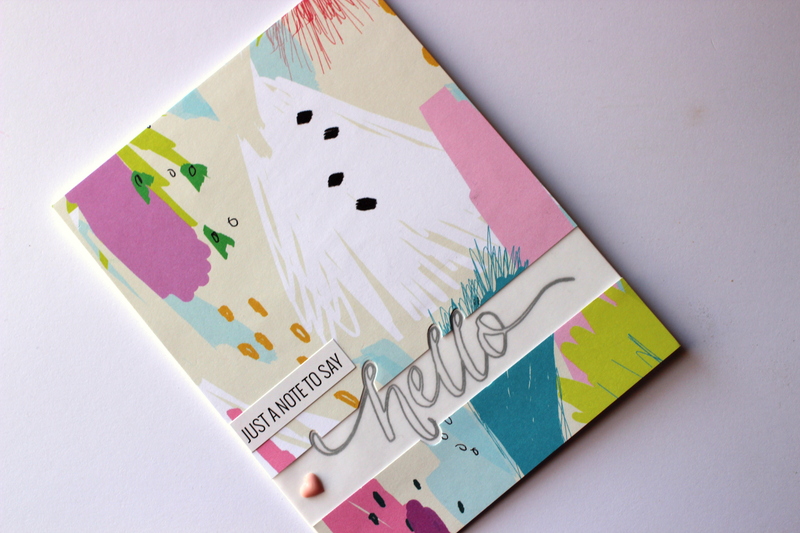 I used Neat & Tangled Journaling Alpha dies which I LOVE. I inked up the bottom half of each letter with some Versamark ink and then added some Liquid Platinum embossing powder over the ink and heat embossed the letters. I also cut the same letters from fun foam and mounted my heat embossed letters on top, to give a bit of dimension. 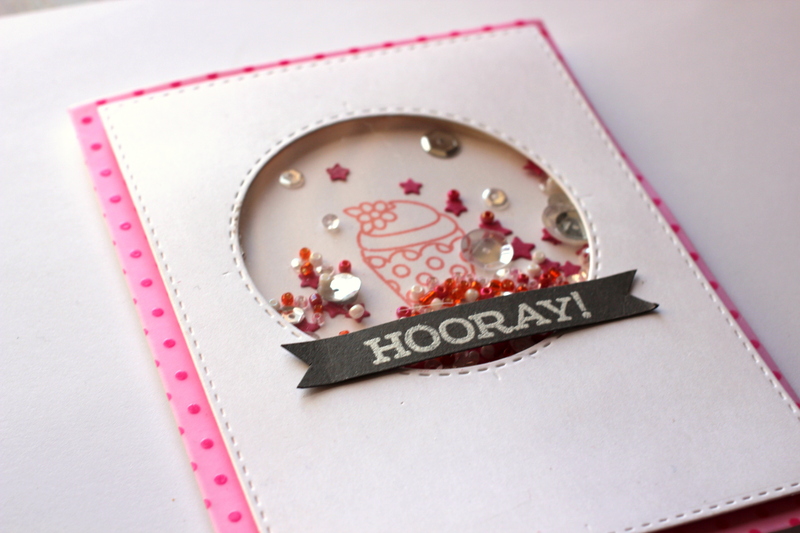 I stamped the rest of the sentiment in SSS Intense black ink using the Simon Says Stamp Celebrate stamp set. I also die cut the panel using the a Lawn Fawn stitched rectangle die. Before I adhered the panel to my card base, I added some patterned paper (from a Studio Calico kit I purchased ages ago) to the card base. I also piped a bead of Liquid Pearls in the color onyx around the outer edge of the sentiment panel, to separate it from the patterned paper a bit. The card needed a bit of something else, so I added a few copper-colored chip board (I think?) stars to finish it off. 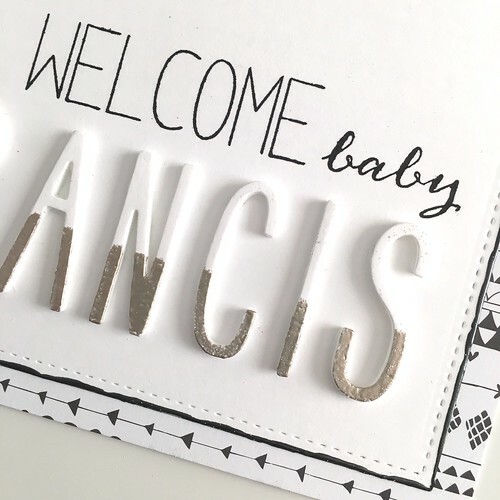 I hope Francis liked his card! Phew, it’s been a while since my last post. It’s also been a while since I’ve made a card. I’m having serious withdrawals. Right now, about 99% of my time (outside of work) is taken up with prepping our new house. We’ve removed all kinds of wallpaper, and have added a layer of drywall to all of the to-be-painted rooms, and now we’re in the sanding and painting phase. Things are coming along. Slowly but surely. Otherwise, I’ve had no time to be creative and it’s making me a bit sad. Soon, I hope. To cure the longing, at least temporarily, I’m sharing a card I made several months ago using the Studio Calico Cirque Card Kit, some vellum, embossing powder, a Mama Elephant Lots of Stars die, a sewing machine. I’m a little obsessed with using a sewing machine and thread to make shaker cards. 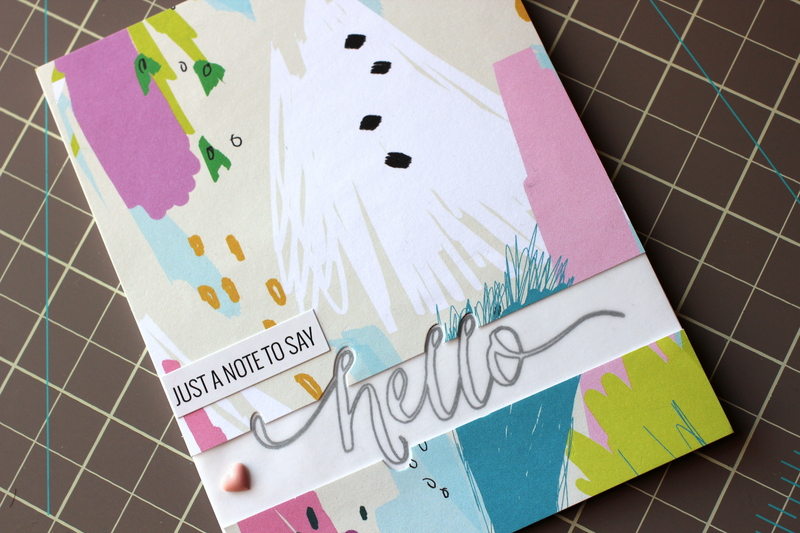 I love how the vellum creates a soft look and allows you to make a shaker card with a lot less bulk (so it’s easier to send through the mail). 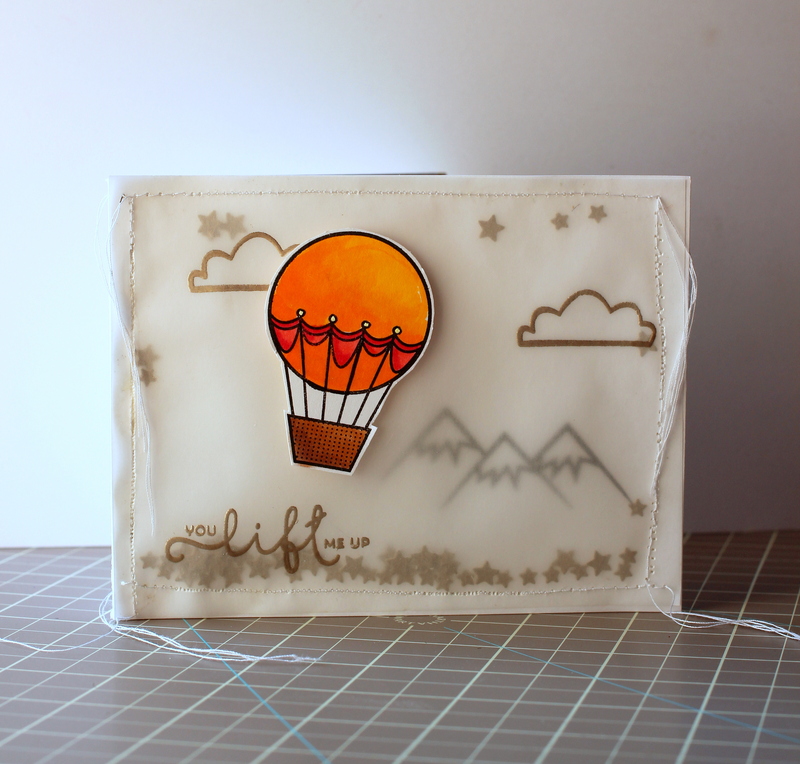 I left little tails of thread hanging off of each side of the card because it somehow reminded me of hot balloons, or balloons in general, and added a little more whimsy. Sometimes you can just let a nice patterned paper do all the work! 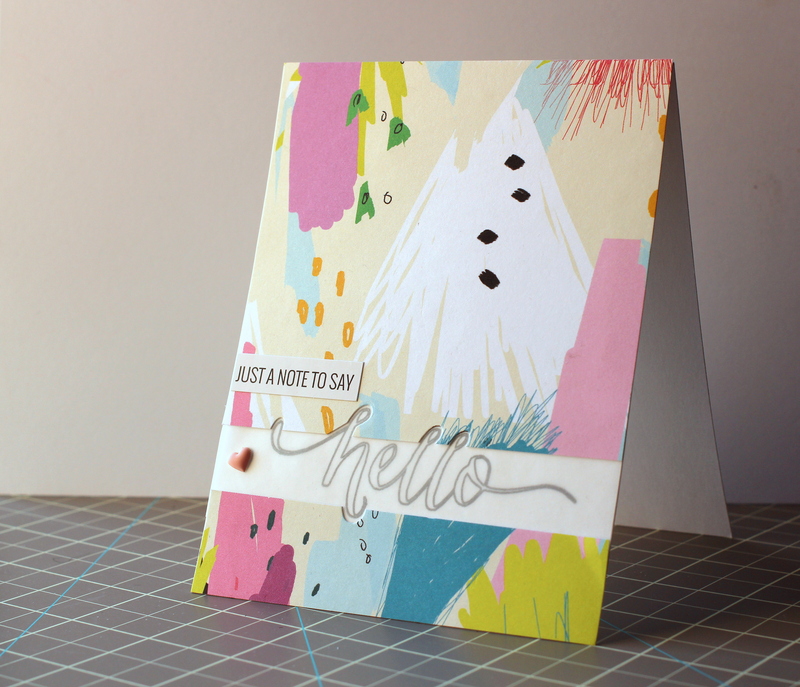 For this card, I just sliced a gap toward the bottom of a piece of patterned paper (that I had cut down to 5 1/2 x 4 1/2 inches), slapped a sentiment in the gap (after partially die cutting some parts of the paper) and mounted everything onto a card base. I die cut the patterned paper and stamped the sentiment on the white card base so it would fit perfectly between the two pieces of the patterned paper that I cut apart, then added a layer of vellum on top of the stamped sentiment. 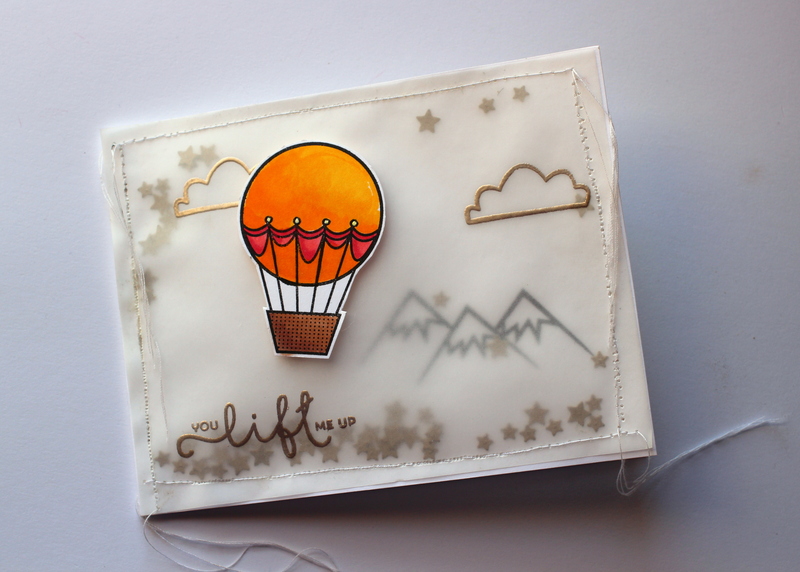 The vellum on top helps to diffuse the lines of the stamp a bit – and I just like how it looks. 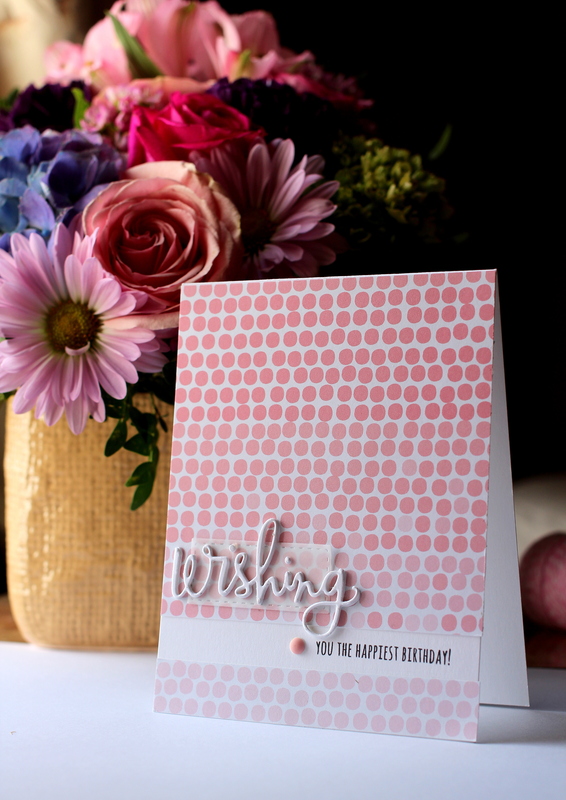 I used a little heart embellishment and a sentiment sticker from the Cirque Card kit to finish off the card. A few weeks ago, a cute little girl I know turned 1. It’s amazing how time flies. To go along with Sadie’s gift, I made a cute shaker card (in the hopes that she’d have fun shaking it), and a watercolored envelope to match. 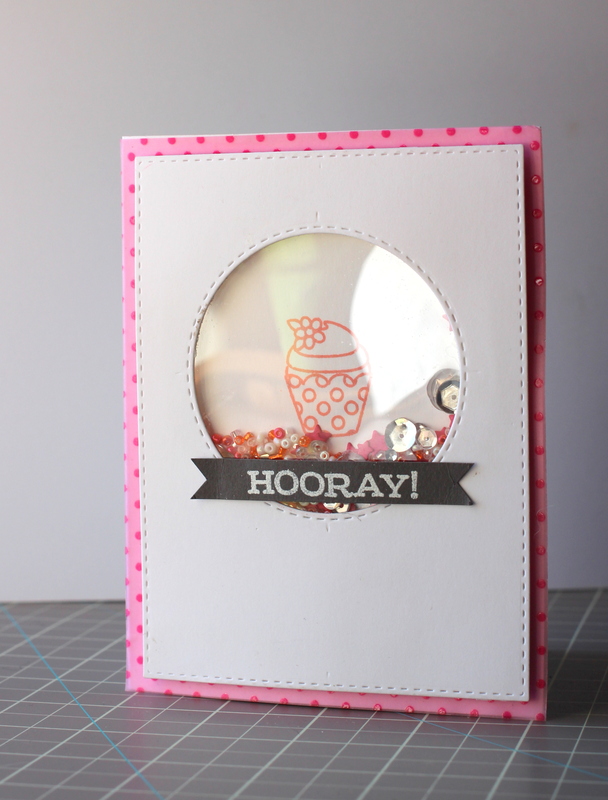 For the card, I cut a panel using a stitched rectangle die and then used a stitched circle die to cut the shaker window. I stamped a cute little cupcake on another panel, to sit right in the window. To fill the shaker, I used an assortment of sequins, seed beads and die-cut stars. I then added the “HOORAY!” sentiment on a strip of slate cardstock that I cut to fit across the bottom of the window. The sentiment is heat embossed and the strip is popped off of the window using some foam tape. 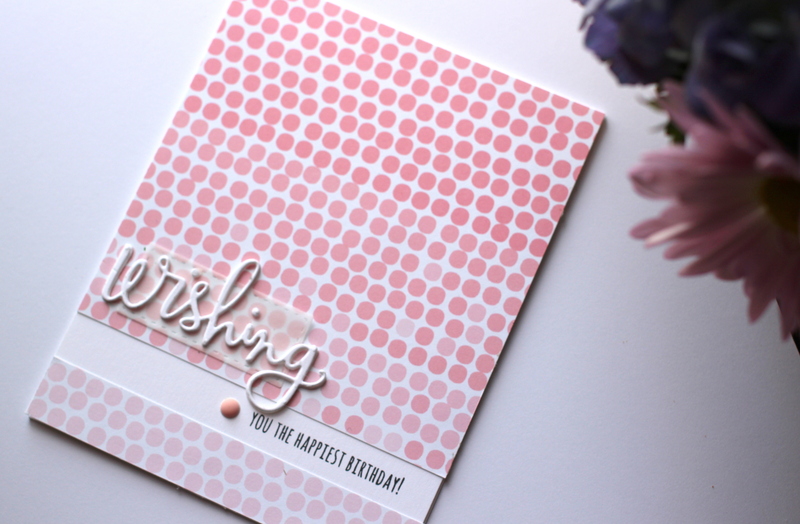 Before adding the shaker panel to the card base, I decided to put some of pink vellum polka dot paper on the card base to give it a little more interest. For the envelope, I used some Canson watercolor paper and my We R Memory Keepers envelope punch board. 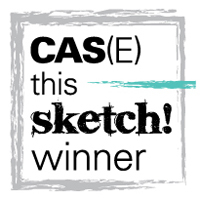 I found a scripty font that I liked (check out my post about free calligraphy fonts here), and replicated it on the envelope front using a versa mark pen. 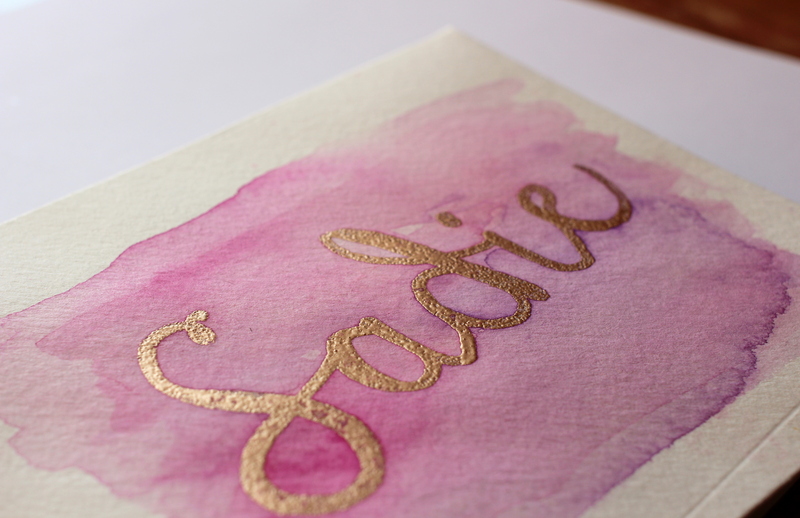 Then I added some gold embossing powder over the versa mark ink and heat embossed it. Then, I added a water color wash over the top (the heat embossing resists the watercolor). After the first watercolor wash dried, I added another wash, just to give it a little more depth and interest. 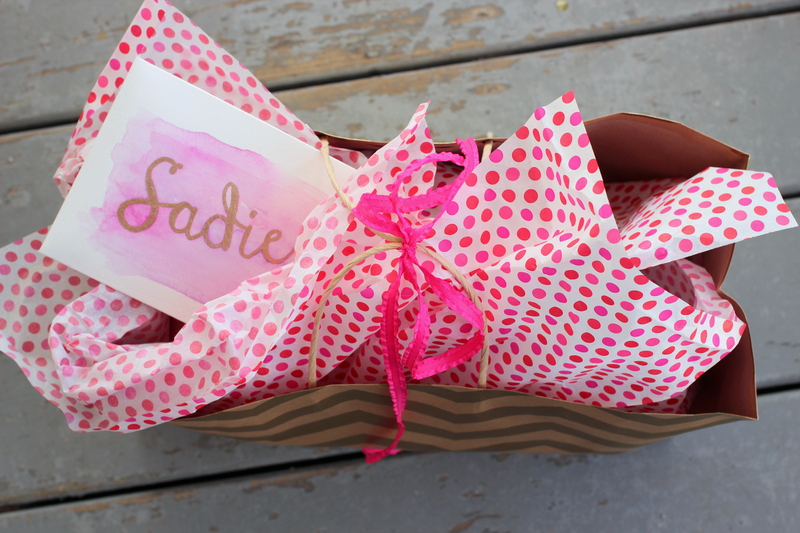 I had so much fun putting this gift bag together. Pink, pink and more pink! It’s official. I can’t stop making cards. 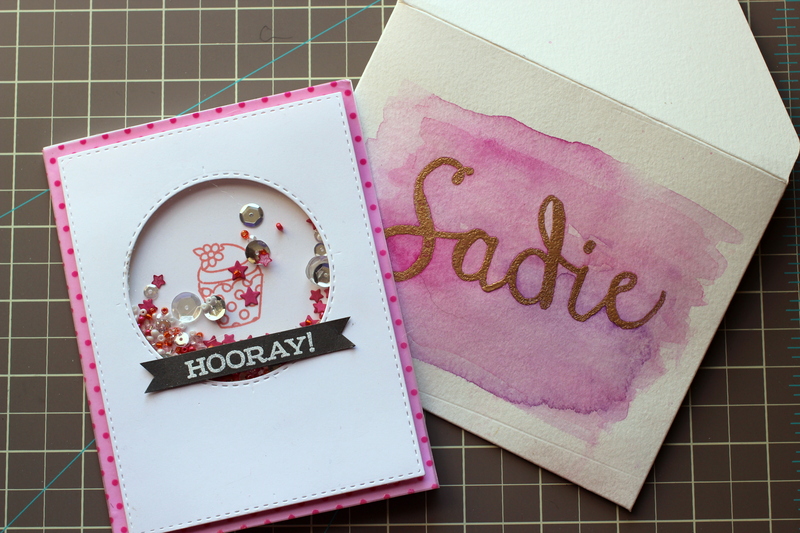 This one is one of my favorites, and I let a piece of patterned paper do most of the work! 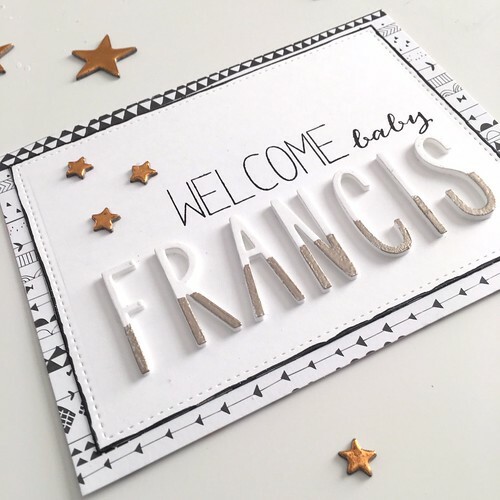 I used my Wishing die once again and layered several of the die cuts to make that part of the sentiment really stand out (I also added a small piece of vellum behind the word to give it some extra pop. 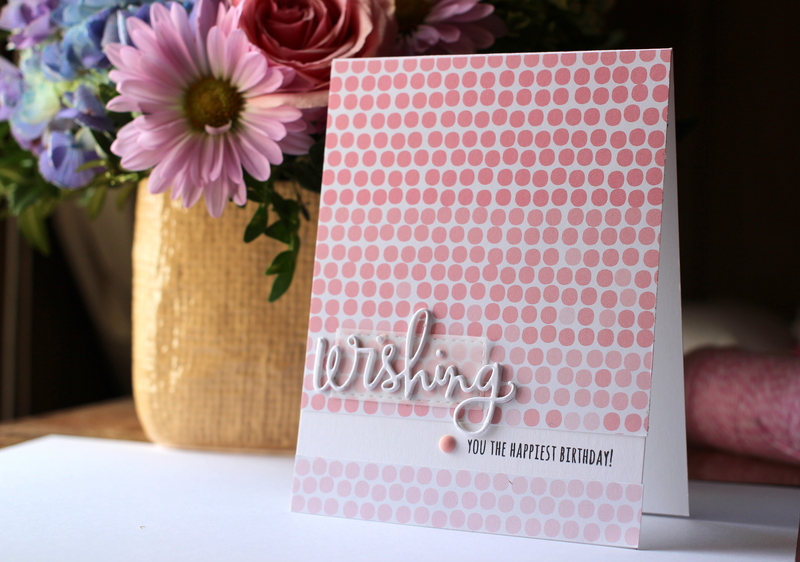 For the panel, I cut down a 6×6 piece of patterned paper (I love those irregular pink ombre dots) to the size of my card, but then chopped it apart toward the bottom to create some blank space inside of which I stamped my sentiment. I mounted everything on an A2 size card base, and added a little enamel dot to the left of the sentiment to finish it off.